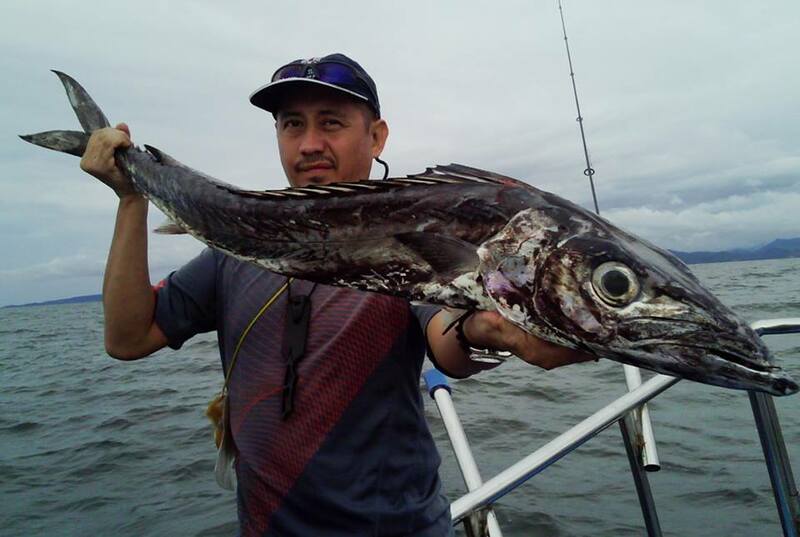 Anthony caught this bizarre fish on August 25, 2013 while deep water jigging. Apparently these fish takes good when fried. Snoek are deep water fish that often migrate too the surface at night to feed. They are normally found in school and feed on a variety to small fish and crustaceans. They put up a good fight and apparently often swim straight down or up during the fight. Posted on August 25, 2013, in Barracuda, Mackerel (Tangigue), Rare/Bizarre. Bookmark the permalink. Leave a comment.